If you have a little girl that loves your makeup, you will want to check out this tutorial on how to make play felt makeup over on Gluesticks. 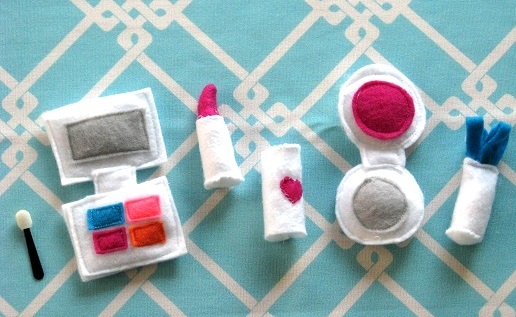 She even made a cute felt makeup brush to go with it. This would be fun for a homemade Christmas gift too. and is easy enough that an older sibling could even make it.